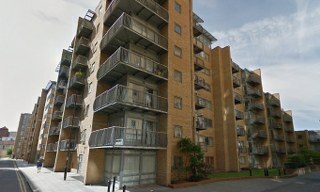 Moving to Isle of Dogs, E14 | High Quality Services - Call Us Today! Finding the help that you need for your house or office move is never easy, but with the help and support of our company you’ll be able to move easily and efficiently, without needing to worry! Moving Service is one of the best in town when it comes to providing affordable and professional moving services in Isle of Dogs, E14, and we can help you to find your ideal removal van, man and van or house movers so that you’ll have nothing to panic about come moving day! To find out more information about the many ways in which we can help you, or to hire us for your moving day in Isle of Dogs just pick up the phone today and call us on 020 8746 4402! Professional Moving Help you Can Always Depend On! Everyone knows how expensive planning and preparing for a move is, and with so many costs to worry about the last thing that you need is to panic about your moving teams. Unlike lots of other removal companies in the area, we work to bring you competitive prices without cutting down on the quality of our service, and with no hidden fees or costs you won’t need to worry about your bank balance when you hire us! Affordable moving help is just a phone call away, so stop panicking about moving your heavy furniture or finding a van hire and just give us a call today! Isle of Dogs – the Best Place to Call Home! This is an area that used to be an island, and is found in the East End of London. With one exception, it can only be reached by crossing water, bridges or tunnels. Situated downriver from the City of London, and surrounded by the River Thames, it is a scenic and beautiful place to live. Before the 13th century, the area was simply a marshland. After drainage and planting however, it became a habitable place and by the 20th century it was a very popular and thriving place to live. The area is perhaps most famous for being the home of the famous Canary Wharf office complex, with the second tallest habitable building in Britain being found here. This continues to be a fantastic place to call home, with wonderful views, spectacular scenery and a deep history for its patrons, residents and visitors. Do you Need Help and Support to Find your Ideal Isle of Dogs Moving Service? Our company has so many amazing services to offer, and we’re sure to be able to help you to get the assistance that you need. Our fantastically affordable services include: man with a van hire, moving furniture help, office removals and more – in fact, there are no removal services that we can’t help you with! Moving Service is just waiting to help you with your move in Isle of Dogs. Nobody enjoys moving house process, but our company can and will help to work with you through your moving checklist to ensure that everything is done is a timely and efficient fashion. With our low costs, amazing range of services and with our friendly and professional team members, you’re going to wish that you’d hired us sooner! Get in touch today to find out everything that you need to know and to get the professional help that you need for your removal in Isle of Dogs! Call 020 8746 4402 now!